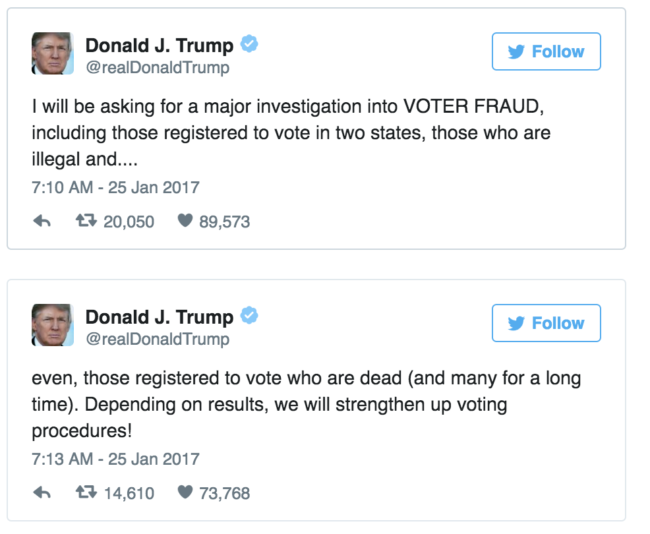 Early Wednesday Morning President Donald Trump announced that he would ask for a “major investigation” into allegations of voter fraud. The Clinton News Network was all over the story (in their own biased way). Liberal CNN morning host Chris Cuomo who supported every deficit-growing program that Barack Obama pushed through, all of sudden worried about fiscal responsibility. 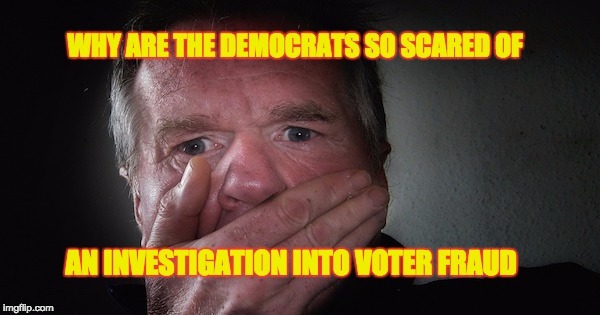 The most valuable right we have as Americans is the right to vote, for years Democrats have been fighting any attempt to clean the voter rolls, whether it is to see if people voted in more than one state or taking the names of the dead of the voter lists. In states that allow criminally trespassing aliens to get drivers licenses there is nothing to prevent them to register to vote, as licenses are usually the ticket needed to register. So people like Cuomo or the Snotty Shepard Smith at Fox News who ripped Trump’s investigation call today, may claim there is no evidence, but perhaps the reason is there isn’t much evidence is there has been no nationwide investigation. Certainly there have been isolated incidents reported– but we have no idea how wide-spread the voter fraud is. Then there are the Democratic politicians who claim that the President’s call for an investigation is…well what else…racism. “Republicans have used claims of widespread voter fraud to discriminate and restrict access to the ballot box for years,” said Democratic U.S. Representative James Clyburn of South Carolina. Trump’s investigation will protect the concept of one-man-one-vote, and go far in ensuring that only citizens will get to vote, whether its 2-3 million, or 2-3 thousand. Bush #43 won Florida by 537 votes, and that Florida win made him president. Local elections have been won by 2-3 total votes.